As the years of your life pass by, problems related to health start becoming an important part of your daily routine. There are various changes that a body witnesses along with the transformation of black hairs into grey. 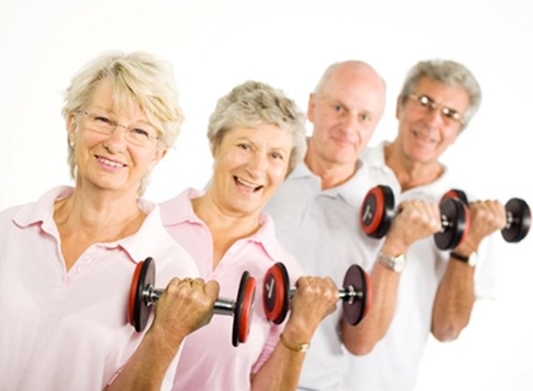 In order to feel your best at the age of sixty, it is imperative to take good care of your health. At this point of time, a human body not only experiences some major physical changes but on the emotional front also, there are so many happenings that affects the emotional health of a body. Here are some of the tips that can help you in keeping yourself absolutely fit in this period of life. At this point of time, life will serve you with both stressful and joyful moments. Happiness can be handled very easily but the time of stress is very difficult to deal with. In such a scenario, you should think about the other good aspects of your life. Also, the best way to deal with challenges is to take them as an opportunity. This will also help you overcoming the problems in a short period of time. No matter what your age is, you should never stop finding a meaning out of your life. Change is something that constantly chases us throughout the life. At this point of time, you may write the end of your professional life, your family and friends may start going a little away from you. But, all these things must not result in stopping you to move ahead. If you give a chance to your life then, it can serve you with some of the most exciting time even at this point of the age. Getting involved into different activities can also contribute into great state of mind at this age. Definitely, you are going to have ample of free time, which can be diverted into different activities, such as learning an instrument or a language, traveling, clubbing, writing, etc. These things will eventually contribute in the happiness of your life. Your eating habits will also contribute in maintaining a good health after you cross your fifties. As the years of your life pass, your relationship with food also changes eventually. Your body will have a decreased metabolism, there will be change in your taste, and a slow digestive system will certainly have an effect on your appetite. It is very important to adapt to the evolving needs of your body, otherwise it will leave a negative impact on your health. Start concentrating more on vegetables, whole grains and high-fiber fruits. Sleep is also one of those issues that are often affected in old age. We all have heard our grandparents constantly complaining about sleeping problems. Basically, this problem is not due to old age. It is due to bad sleeping habits. In order to have sound sleep at night, try to make a proper routine of day in which you give ample time to sleep. Let good health be the defining aspect of your life. Healthworks.com.au is the one-stop destination for all the health programs you need. More details at www.healthworks.com.au/proven-solutions/corporate-fitness-centres/.